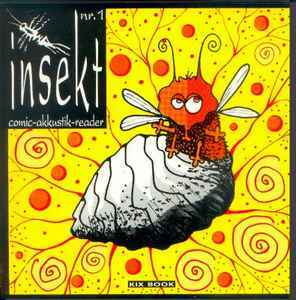 INSEKT (1992) Was the first product published by the newly founded KIX publishing house. The insect symbolized the growing artist group, the book itself - as a book series - to document the various activists of the KIX artists (and therefore contained a 7 "record with music from the various KIX bands). Further" insect "issues were planned , Which should also contain texts, photographs and other contributions. Format 21x 21 cm.